Brandon Belt was once thought of primarily a pitcher, so the Giants’ first baseman knows a little bit about change. He’s been accused of walking too much, striking out too much, and now perhaps swinging too much. But he’s still found his way to just outside the top ten at a position with a high offensive bar. The process hasn’t been easy, but past changes to his game, combined with his current mindset, can both give us hope that he’s got what it takes to continue improving, while also dishing us a dollop of despair — hitting seems hopelessly hard, a continual game of adjustments, even on the game level. The first time I talked to Brandon Belt was my first day as a member of the accredited media. On media day in early 2013, the players stood at podiums, ready to talk, which made things easier on a rookie like me. I asked him about a turning point in his 2012 season. One day, when he was at his lowest, when he was “lost out there,” he made a decision to alter his swing plane and hit more line drives and fewer fly balls. The result was a half-season with a 33% line drive rate and his first real taste of success. His old grip (left) was too tight. The new grip (right) was more flexible. So when Brandon Belt and I talked before an A’s game this week, I wanted to talk mostly about adjustments in general. But first, I had to ask him about his more aggressive approach this year. A career high in swing percentage, matched with a career high in power rates — were these linked? “I’m not going out there to swing at everything they throw up there, but I do want to be more ready to hit a pitch when I get it,” Belt said of the change. He didn’t spend the offseason thinking about swinging more, but he did spend some time thinking about taking better advantage of pitches that he liked. The more aggressive approach has led to the need for another adjustment, perhaps. His reach and strikeout rates are near career highs. “I know have the ability, if they’re not throwing me strikes, I know I can stop, I don’t have to swing,” Belt said. “I know what the zone is and sometimes being too aggressive can lead to swinging outside the zone and that’s obviously not what I want, but I think I can control it pretty well.” His career heat map for swing rates seems to agree with that assertion. You can see, in particular, that he’s adept at not swinging at pitches on the corners. 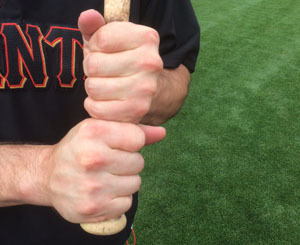 This is a point of focus for Belt: “The ones on the corners, you got to take those away,” he said. “Low and away, up and in, those are not the best pitches to swing at.” The corners are some of the worst in-zone locations for contact, for sure. But it’s not as simple as taking away the corners, of course. “It’s a constant adjustment, they’re all adjusting to me, I’m going to have to adjust to them — if you want to stick around and play for a while, that’s just the name of the game,” said the first baseman. 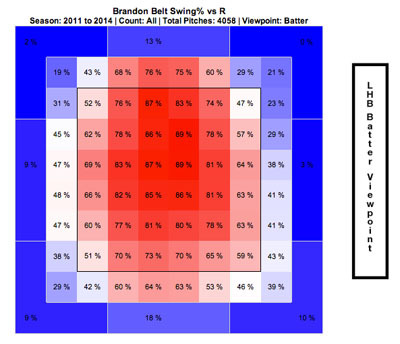 Let’s take a look at how Belt has been pitched and how he’s adjusted his swing. First up, how pitchers have been pitching him, in half-season increments since he’s entered the league. Watch the red blobs move in and out over time. In particular, watch the inside part of the plate. It’s not easy to determine the chicken and egg this way, but at least you can get a sense of how this interplays with how pitchers have been approaching Belt. Here’s his swing rate in half-season increments over time. Again, one of the bigger areas of change has been on the inside third of the strike zone. Focusing on line drives over pull power and fly balls in 2012 allowed Belt to take the outside pitch the other way. Moving back in the box and changing his grip in 2013 allowed Belt to turn on the inside pitch and show more pull power. Putting those two together in 2014 has encouraged him to be more aggressive and take advantage of his power. He’s pulling more than ever. The pulling wasn’t necessarily a point of emphasis, or a result of being more aggressive — they’re both a result of an offseason adjustment. “Going into the offseason, what I really wanted to do was keep my weight back,” Belt said. “When I am keeping my weight back, I’m getting the bat head out and hitting the ball more in front of me.” Hitting the ball more out in front of him, has lead to pulling the ball more, he felt. 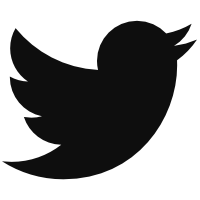 But each of those changes has also begat the need for more changes. “All the video that’s out there, they know exactly what you are and what you’re not hitting at all times,” Belt said. Once he could go the other way, they busted him inside. Once he showed he could pull that pitch, they went back outside. Hence, the moving blob. And maybe the need to now focus a bit on going the other way again. “There might not be as much power the other way, but there are a lot of hits over there, and there’s a lot of places you can drive in runs by going over to that side of the field,” Belt said of going the other way. “I definitely want that in my repertoire going forward.” Now that he’s further in the box, and his weight is back, maybe he has to let the ball travel a little further even and see it a little deeper into the zone, he agreed. Sometimes this happens within a game. Take a look at two swings from the same game last week in San Diego. After the first, Belt stepped in to the cage to take a look at some video of the pitcher and himself. The second swing won the game. Perhaps there’s a noticeable difference in his hand placement and the timing and size of his first step. But it’s important for the first baseman to clear his head once he steps into the box. “When I step out on the field, I try to make sure I forget about all that stuff. Thinking about it while I’m hitting is not doing me any favors,” Belt said. Hitting: it’s all about the thinking until it’s not. 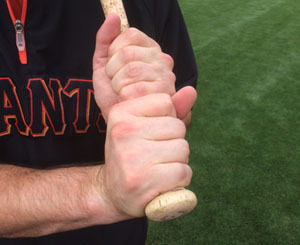 We hoped you liked reading Brandon Belt, Making Adjustments by Eno Sarris! Having size 15 shoes, repositioning his feet is no small thing.